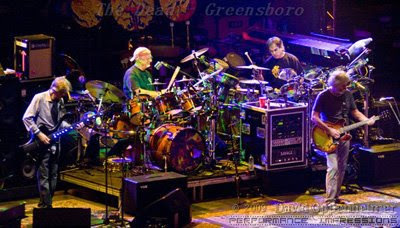 The Grateful Dead's 4 remaining original members are back together on the road for a 2009 tour. Opening night in Greensboro, NC on Easter Sunday was an awesome beginning to what should be an epic tour. 44 years since they first began as a all night party band, The Dead did not disappoint opening their tour with a Music Never Stopped. The 4+ hour show kept most of the crowd on their dancin feet! See the full gallery of photos from The Dead's opening night of tour!